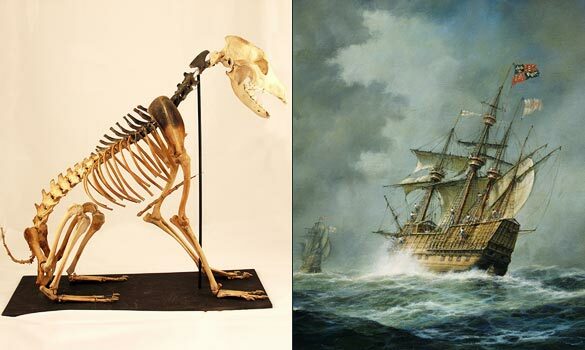 In 1545, a warship called the Mary Rose sank during a battle. 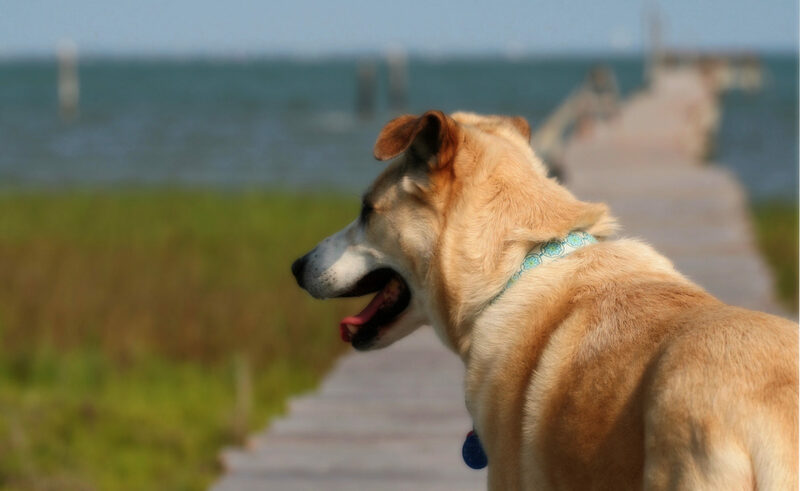 In 1982 the ship was salvaged and the remains of a 2 yr. old mixed breed dog were found and dubbed “Hatch”. She might have been a pet, but Hatch was most likely a ratter and a successful one at that. Only partial rat skeletons have been found. 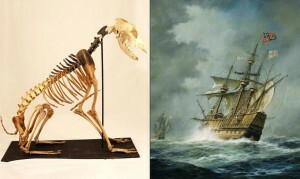 The Mary Rose museum is exhibiting Hatch’s skeleton at Britain’s Crufts dog show. Bracken the Labrador developed a cough. An x-ray showed a dark mass near his heart which turned out to be the football the dog had eaten. Surgery removed the ball and fixed the hole in Bracken’s diaphragm that allowed his stomach to move towards his heart. Spike a Patterdale terrier started vomiting. X-rays for this dog showed the distinct outline of a rubber ducky. More amazing is that Spike had eaten the ducky 18 months earlier. Ouch! Dog washing machines? People have marketed these before and they still seem like a really bad idea. A dog bathing tether seems like a much better idea.